Tonight I went straight from my Zumba class to the grocery store to buy ingredients for all the recipes I want to make this week. I had the best of intentions to return home and start cooking, but by the time I got here I was beat. 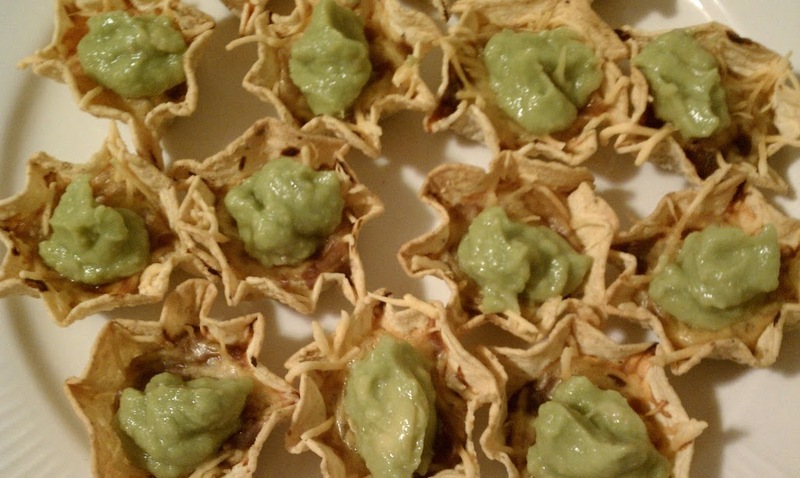 These nachos seemed like the quickest and easiest thing I could make in less than 15 minutes with the ingredients I had on hand and they turned out awesome! I feel like I should have planned this, because it would make a great Super Bowl appetizer (you could easily double or triple it to make as many servings as you need), but this was definitely spur of the moment. I ate 2 servings (the whole recipe) for dinner, but I’m listing it as an appetizer, so eat it however you wish! The guacamole was a perfect cool, creamy complement to the spicy bean dip and salsa and the salty tortilla chips. Delicious! Line a baking sheet with aluminum foil and place 14 chips on the sheet. Measure out 4 T of black bean dip and spoon them evenly into the scoops. Top the black bean dip in each scoop with a little bit of salsa (spoon in to taste) and then sprinkle the cheese evenly into the nacho scoops. Bake 10-12 minutes until cheese is melted and nachos are heated through. 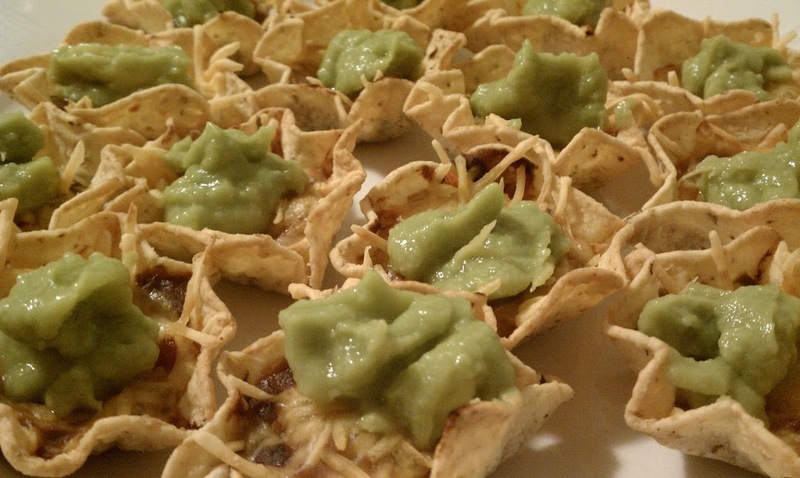 Top each nacho with a small dollop of guacamole (distribute evenly). so 1 serving is 7 nachos?? 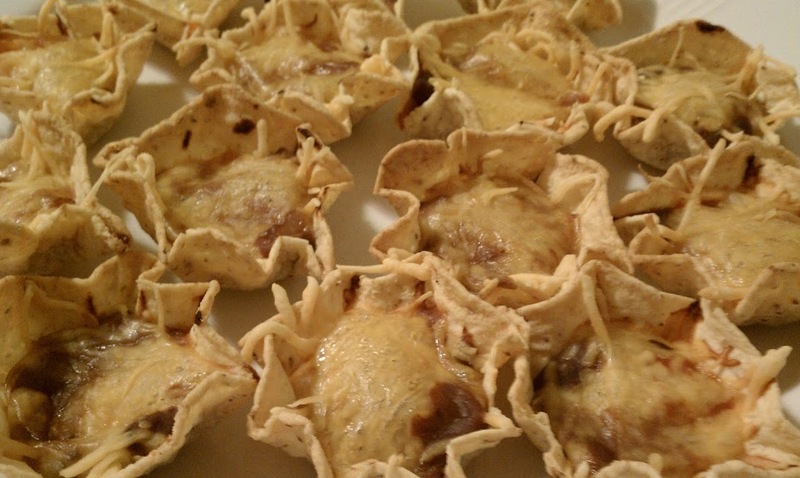 These are in the oven right now! Can’t wait to dig in!!! I can’t get enough of your recipes and I tell everyone I know about your site! THANK YOU for helping to make losing weight and healthy eating so enjoyable. Made these tonight! My husband and I really liked them! I would suggest spraying foil, because all ours stuck!